In case you missed it, I am very proud to announce a mention of OrientDB in the amazing and very widely read business technology news website, ZDNet, in an article titled, The new era of the Multi-Model Database. I was super excited to see at the very top of this article, prominently displayed, an OrientDB diagram showing how our multi-model graph database integrates multiple data models into a single, scalable, high-performance operational database. The article itself delves into a little bit of the history of databases, which started as simple data stores and then, in response to the increasing data volume and variety, evolved into easily scalable, multi-model NoSQL data management platforms that can satisfy a wide range of use cases without leaving your data in silos. It then discusses a few multi-model database vendors. 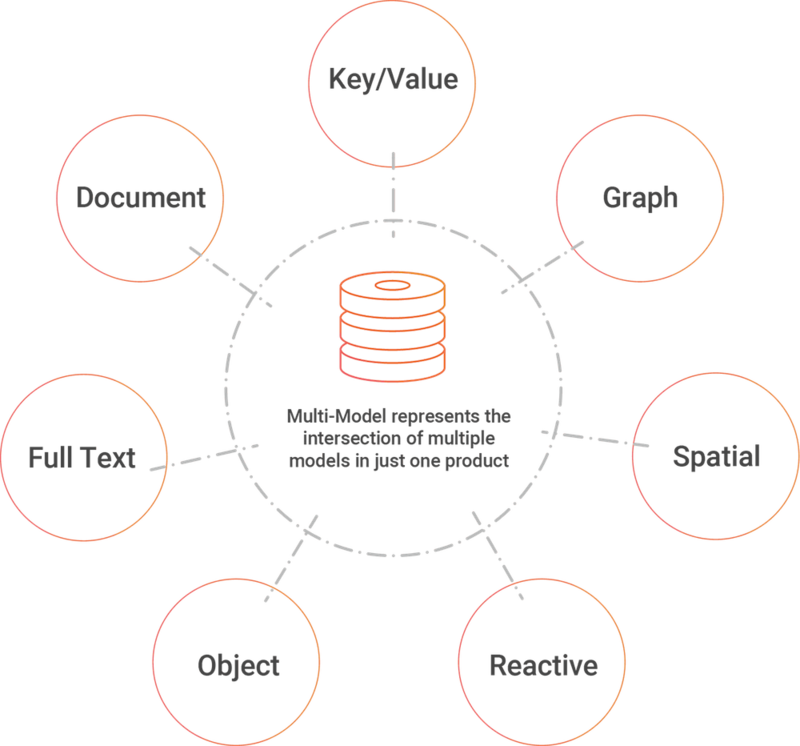 The articles does really well to elucidate the clear advantages of multi-model databases over traditional relational databases and non-multi-model NoSQL databases. OrientDB is a multi-model DBMS at the engine level, meaning it’s a native database instead of something you have to layer on top of your other systems. This brings tremendous advantages in terms of simplicity, easy of use, security, and performance. OrientDB is fully object oriented, meaning it supports classes with properties and inheritance. This is extremely useful because it means your database structure can map 1-1 to your application structure, with no need for hacks. OrientDB supports first-class property-level and database-level indices, allowing you to directly query specific indexes for maximum efficiency. OrientDB uses role- and record-based security, and supports token-based authentication, meaning you can use OrientDB as your primary means of authorizing/authenticating users. OrientDB also has LDAP integration. Clearly we have entered the age of the multi-model NoSQL database. From here, the power to perform flawlessly at scale and with enterprise-grade security is what is going to separate the leaders from the laggers. OrientDB is leading, and you can learn more here.